Facility vs. Property Management | Toronto Property Management Company - Mareka Properties (2000) Ltd. Whether you are working in a sky high office tower or living in a rented walk-up apartment, you probably have a property manager and a facility manager. Both are crucial to the operations of the building as they are tasked to care for the building; however their responsibilities and roles do differ. Simply, a facility manager oversees more of the groundwork whereas a property manager is responsible for the overall background and maintenance work of the building. 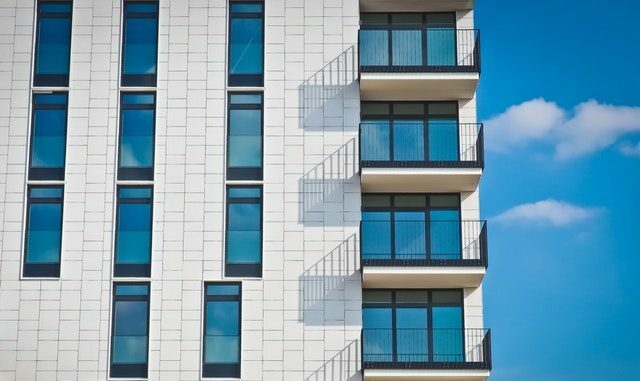 With the help of affordable property management, both the facility and property managers can have well-defined roles in overseeing the day-to-day operations of building — whether that is providing administrative help or maintenance. Keep reading to learn about their difference in roles and how a property manager can benefit you. A facility manager is an agent for the people that work or live there. They are concerned with both the space and its productivity. For example, if there was an office building being managed by a facility manager, providing adequate lighting and fixtures would be important in order to build a clear space for work. On the other hand, a property manager acts as the agent of the building owner, which is focused around the profitability of the property. Their objective is to find the best growth and revenue measures so that the property’s owner can maximize their return. Previously mentioned, facility managers oversee more of the groundwork, such as the basic care and maintenance of facility. When it comes to immediate and quick issues, facility managers are able to handle it. They look at the facility through the perspective of the employees or tenants which means that they do their best to provide what the tenants require. Property managers are responsible for the bigger picture — ensuring that financial reports are completed, marketing for the facility’s activities, filing taxes, and monitoring budget spending, among others. Depending on whether the building is a rental property, they are also responsible for collecting rent. They provide many more administrative duties and background work that drives the operations of the facility. Since the facility managers are more tenant-oriented, they place higher importance on customer/tenant relations than the profit the building is making. They ensure that there is a strong communication line between the tenants and the management team so that they are easily able to convey any issues or needs that come up. On the other hand, the property managers are on-site less and interact less with the tenants and more with the building owner. More of their responsibility falls behind strategizing for high profitability or ensuring the financial reports are completed correctly. Thus, they communicate more with the owners than the tenants of the building. As outlined above, both managers are expected to ensure that the physical maintenance of the property is in good shape. The difference between whose responsibility it is is dependent on the property itself and the severity of the maintenance that needs to be done. When it comes to tidying up an area with a vacuum cleaner, that type of ground level work is reliant on the facility manager whereas a situation where the building needs a contractor, is work a property manager can assist with. The priority of goals for a facility manager and a property manager are reversed. They do care about the building and the end users but facility managers focus on the people first. Property managers are then focused on profit and driving the value of the property itself through affordable and cost-effective, but productive and profitable management. Ensure that you have a reliable and affordable property management team to help manage the administrative work while driving profitability. Get in touch with our team in Toronto to learn more about the services that we provide.